I knew when I began my partnership with This is Nessie* that it was a perfect fit with Sassy Social Marketing. I’ve always loved stationery, and with the brand extending into bespoke gifts too, I couldn’t wait to start applying my sassy and social skills to the arrangement, both on social media and at events throughout Surrey. 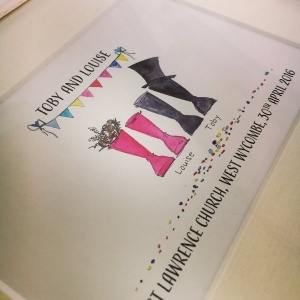 One of the most popular ranges at This is Nessie is our charming wellie prints… each one a unique representation of a family, a group of friends or a couple. When I met Welly Racks on Twitter we shared a little bit of mutual wellie appreciation. 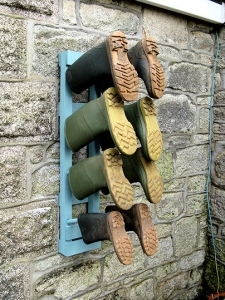 Welly racks are the all in one solution to keeping boots off the floor and out of the way, and are cleverly designed so no water can collect and your boots stay dry. We are both Theo Paphitis Twitter #SBS winners, and we love a little #SBS collaboration! So to celebrate our mutual love of wellies we decided to jointly run a #WinWellies competition for our Twitter followers and Facebook fans. Enter on Facebook or Twitter. Like the pinned giveaway competition posts on either of our pages. We’ll be delighted if you decide to share our posts too, but this is not a condition of entry. The competition will close at midnight on Sunday 5 June 2016. 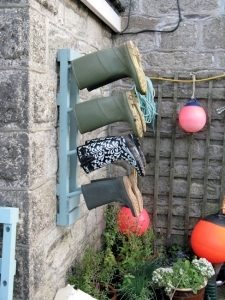 The winner will be selected by Alyson at This is Nessie Surrey, and Welly Racks from the Twitter and Facebook entries. We will DM the winner, asking them to provide name and address details within 24 hours. Any delay will forfeit the win and another winner will be selected. Once contact has been made we will announce the winner on Twitter and Facebook. NB: This competition is in no way affiliated with Facebook or Twitter. *15% first time discount available at www.thisisnessie.com using code TININDIGO16AR at checkout.